Chances are we won't actually name the game 'Knife Thrower App'. 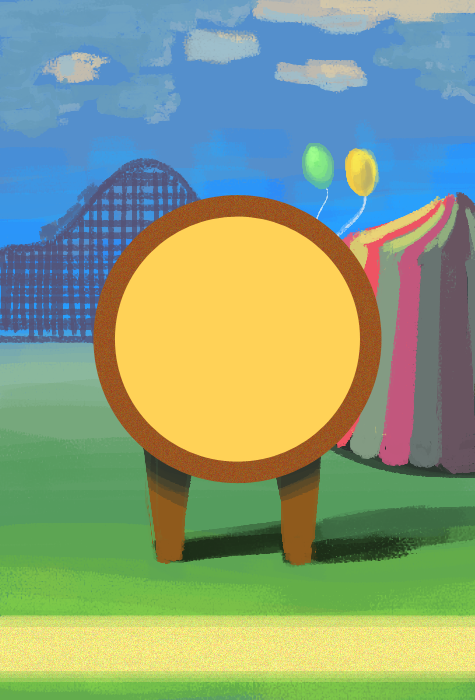 Anyhow, quick sketch of one of the settings for the game, a fairgrounds type background. The final backgrounds will be vector, but this was a quick painting to get an idea of the general look and placement of elements. From here we'll flesh out details and make corrections toward the final look. The wheel is a placeholder for now until I work on getting a refined design for it. Eventually the hostess will be attached to the front, and the player's job is to toss knives at targets on the wheel as it spins without hurting her. 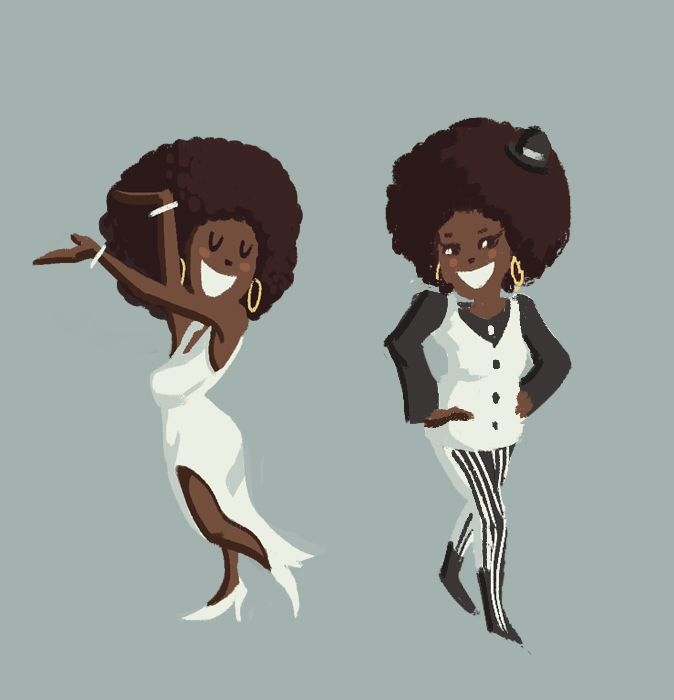 Also did a quick redesign of the hostess. Like I mentioned earlier, the collision detection mechanics supposedly work better if the clothes adhere to the shape of the body so I figured a suit with pants was a better costume choice. Comparison shown below. The next step is to make sure there's room for user interface things, probably going to place them in the corners of the screen. The wheel will have a more impressive look soon and I'm going to try to make time to make a mockup spinning animation for it.